We are half way through this year’s Global Entrepreneurship Week (“GEW”) which started on 17th November and finishes on Sunday! GEW is the world’s largest celebration of the innovators and job creators who are bringing ideas to life, driving economic growth and expanding human welfare. GEW looks to inspire people everywhere through local, national and global activities designed to help them explore their potential as self-starters and innovators. There has been an explosion of entrepreneurial energy this year and the momentum continues to grow with 150 countries around the world now participating in thousands of activities. 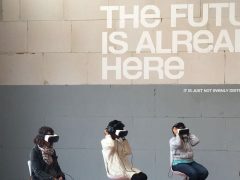 It is a fundamentally powerful movement for shifting the entrepreneurial culture of participating countries. Firstly the launch of the 2015 Global Entrepreneurship Index measuring the entrepreneurial ecosystems in 130 countries—from Albania to Zambia. South Africa ranked number 52 in this index and was the highest ranked country in Africa. This is a positive development relative to South Africa’s performance in the annual Global Entrepreneurship Monitor where we have tended to lag other African countries. The bad news is that our areas of weakness continue to be around human capital and start up skills. Secondly, this week was the culmination of the Creative Business Cup 2014 where creative entrepreneurs from all over the world gathered in Copenhagen for the “World Cup for creative entrepreneurs”. The winner was “Professor Why” of CTAdventure from Poland, a startup re-imagining education by involving users in a creative learning process in important areas such as chemistry, physics, and maths using modern technology like augmented reality. Sounds like the South African education system could do with some assistance from the Professor! Thirdly, yesterday was Woman Entrepreneurship Day which provided the opportunity to celebrate, support and empower women entrepreneurs worldwide. There is increasing evidence that bridging the gender gap in entrepreneurship will be an important catalyst for the next frontier of entrepreneurial endeavour. 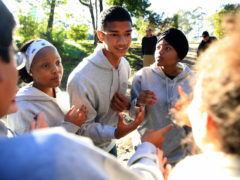 A development the Foundation is well geared for with 55% of our Candidate Allan Gray Fellows being female. And very importantly Africa is proud to be hosting one of the most important annual entrepreneurship gatherings, the Global Entrepreneurship Summit, for the first time, in Morocco, this week. The theme is harnessing the power of technology for innovation and entrepreneurship. The Foundation is participating in the summit and looks forward to reporting back on its impact. 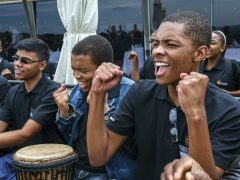 With regards to GEW, South Africa has been pulling its weight with 127 activities powered by 45 different partners. 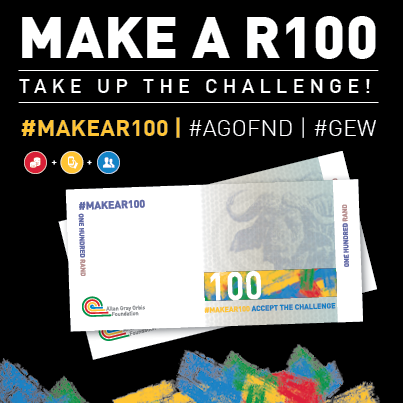 One of those 127 activities is the “Make a R100” challenge, which is a campaign designed to encourage South Africans to experience the possibilities of entrepreneurial action in a non-intimidating way. Everyone is challenged during the month of November and particularly during this week of GEW to make a R100 profit (in a legal and ethical way) by providing a creative service or product to a willing buyer. So far there have been some great responses coming through with people harnessing their musical, fashion, practical, beauty and even tax skills. If you looking for a good starting point, there has been a strong culinary theme with a number of people taking advantage of our natural inclination for good food! Someone even showed great entrepreneurial insight by turning the challenge of Eskom’s recent load shedding in Pretoria into an opportunity to sell pre-charged solar lights! Have a look at the emerging ideas on our Social Media page and challenge your friends, family, colleagues and/or classmates to take up the challenge too. Let’s hope that this incredible energy and excitement around the potential for entrepreneurship continues way beyond this one week. Let us know how you have experienced GEW in the comments below.